From Monday 17 December 2012 is In the matter of J (Children), listed for two days in front of a panel of seven (L Hope, L Hale, L Kerr, L Clarke, L Wilson, L Reed and L Carnwath). This matter from the Court of Appeal concerns a previous finding that either one or both of two individuals caused significant harm to their child. Their oldest child was found dead, having suffered numerous injuries. The couple later separated and went on to have other relationships, and children. The local authority discovered the previous court finding, and issued a child protection plan in respect of children living with one of the individuals. The application was dismissed on the grounds that it had not been proven in the previous hearing that the individual had been the perpetrator of the child’s injuries. The Court of Appeal found that the relevant case law was inconsistent in cases where there had been a finding of past harm, but the identity of the actual perpetrator had not been proven to the civil standard. It is for the Supreme Court to determine whether a previous court finding that one or both of two individuals caused significant harm to a child constitutes a “finding of fact” in subsequent proceedings aimed at determining whether there is a real possibility that other children will suffer harm in the care of one or other of those individuals. 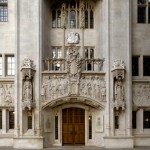 For a full breakdown of the matter the UKSC Blog case preview is available here, and the UKSC’s case details are here. 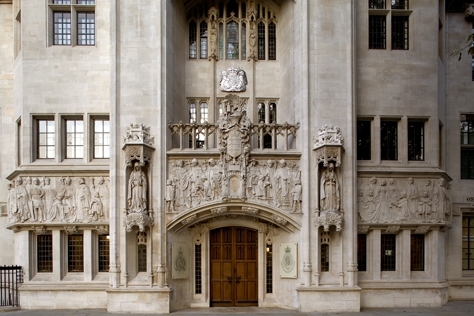 On Wednesday 19 December 2012 the Supreme Court will hand down judgment in the following: Kinloch v Her Majesty’s Advocate and Societe Generale, London Branch v Geys. There are no hearings scheduled in the Privy Council this week. Term finishes on Thursday 20 December 2012 so these previews will recommence in January. Leave a reply on "In the Supreme Court w/c 17 December 2012"